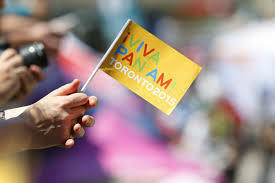 A few weeks ago we determined that the Pan Am Games would contribute to lower listings and lower sales numbers because many people were planning on escaping the city. Hey, we were right….until everyone realized that the traffic just wasn’t that bad. It appears that now is as good a time as any to sell a home. So, if you are hiding out in parts unknown you might be missing out on that dream home. The freehold sector had one of the single highest week over week changes with a noticeable 25.6% increase in new listings and a similarly grandiose 54.5% increase in sales last week. With that increase came slightly more demand as transactions at or above the list price edged up 2.5% from the previous week to stand at 54.5%. What stands out the most when we reviewed last week’s data was the amount of movement in the entry level home ($400k to $700k) across the city’s core where listings increased by 37%. While the single detached Toronto home has topped the million dollar mark, there is plenty of room for those on a more modest budget. The condo sector has been fairly tame for the past few weeks. New listings have inched down 3% from a few weeks ago while sales have essentially remained unchanged. Higher end condo sales have taken a hiatus having registered a complete shut out on any condo above $1.5m. That falls in line with a recent article by Canadian Real Estate Magazine that reports that “demand for condos is at an all-time high as millennials and first-time buyers look to affordably enter the market while maintaining a property with some kind of appreciation value”.